Another young, brooding model, with a twist. Xiao Wen’s features aren’t what everyone defines as perfect. She has small eyes, translucent complexion, and looks like a geisha which may scare anyone. To top it all off, she has the most oriental feature which may seem awkward in the runway full of Barbie-ish girls. Her Runway walk is impressive. Man, she looked like a doll. She have walked the runways of Marc Jacobs, Hermes, Nina Ricci, Fendi, Chanel and more. 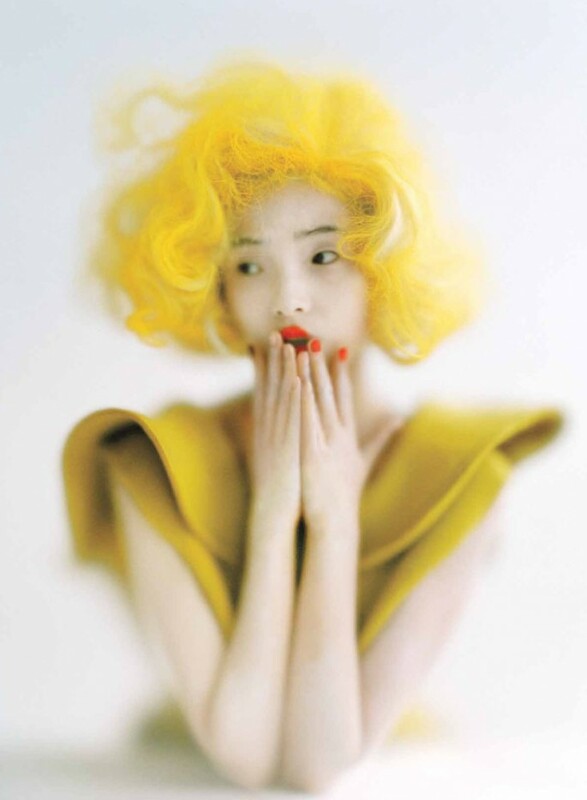 She also became the cover of Vogue China and Numero as well as featured in Kenzo and American Vogue. She was often compared to Liu Wen which is kinda funny for me because they have different strengths and measures. Liu Wen has a dominant features, from her cheek bones to her jaws, its her assets. While Xiao Wen on the other hand has doll-like and soft features which makes her unforgettable as well. Editorial for American Vogue. Oh My. Anyway, the bottom line is, with Xiao Wen’s long list of credentials, the future seemed so bright for this little darling.